Find a luxury hotel in Rome from the Hotique Hip Hotels Guide. Hotique is an independent guide, featuring luxury 5 star design hotels, hip hotels and unique boutique hotels including hip hotels in Rome. 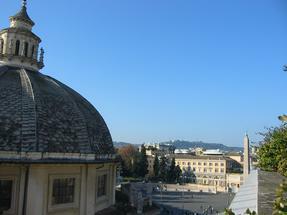 View our featured hotels in Rome below or search for a boutique hotel in Rome. View Hotique's selection of luxury hotels in Rome - The Russie Hotel is located right beside Piazza del Popolo, and close to Piazza Di Spagna (The Spanish Steps). Key attraction including the Vatican City, St Peters Square and the Basilica are easily accessible from here.